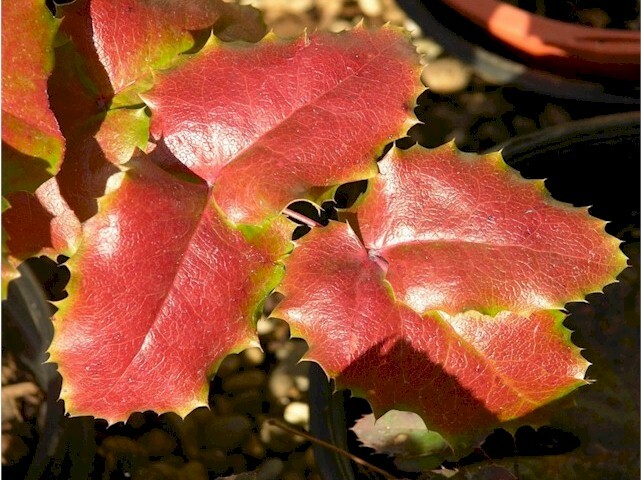 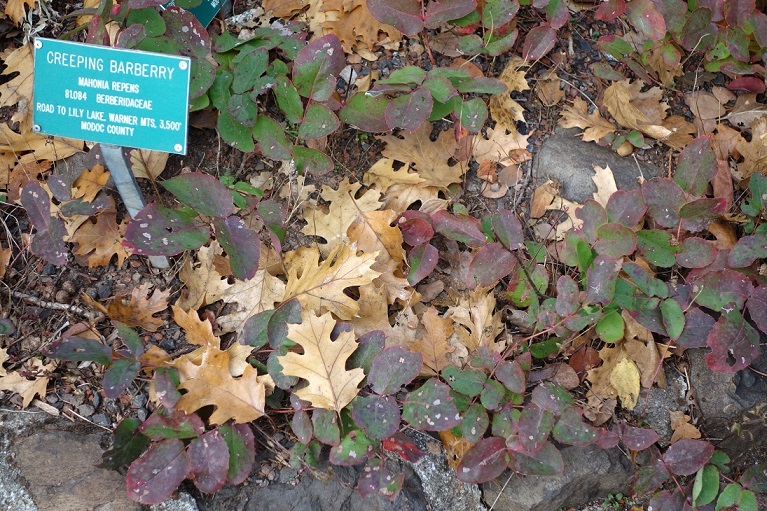 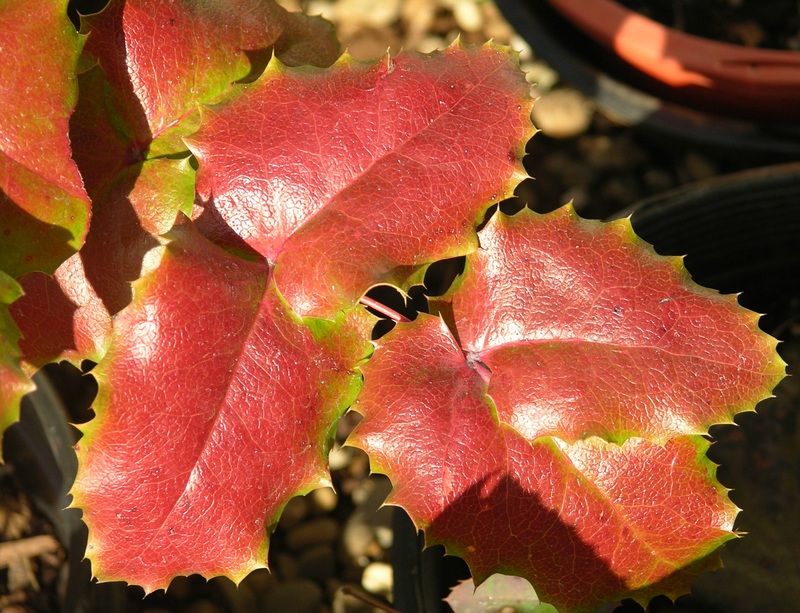 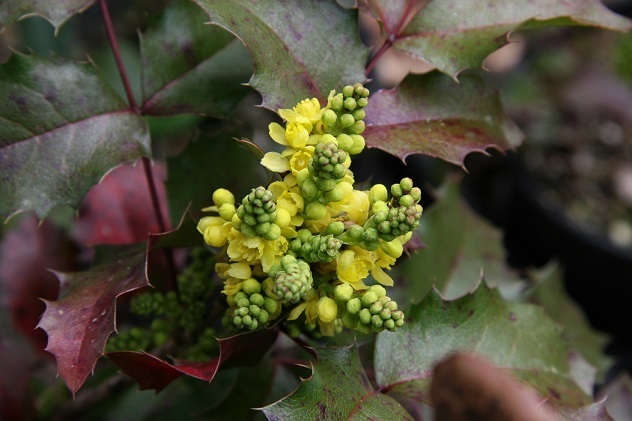 This is the superior ground cover of the Oregon Grape species, recommended to cover large open areas not suitable for lawn. 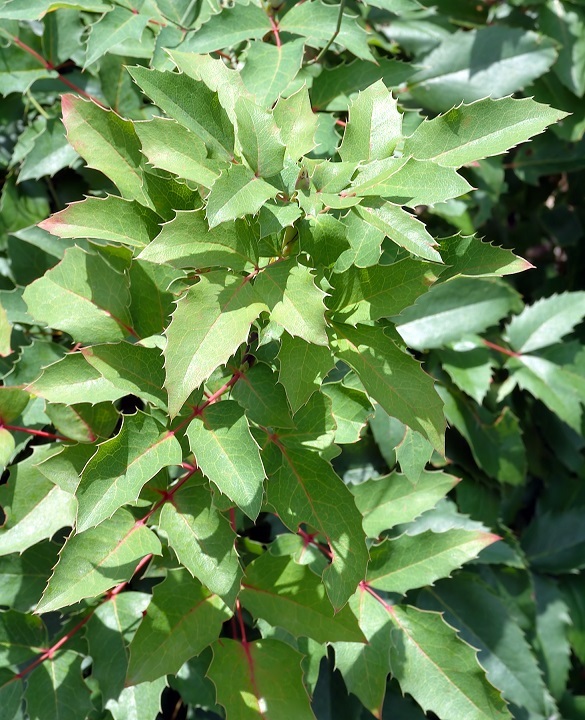 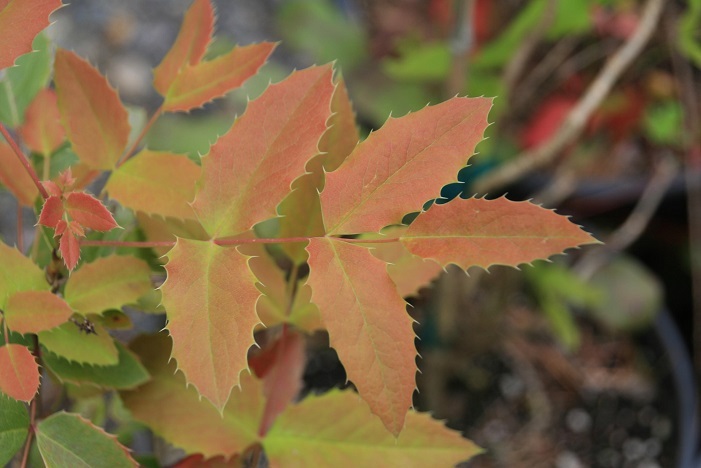 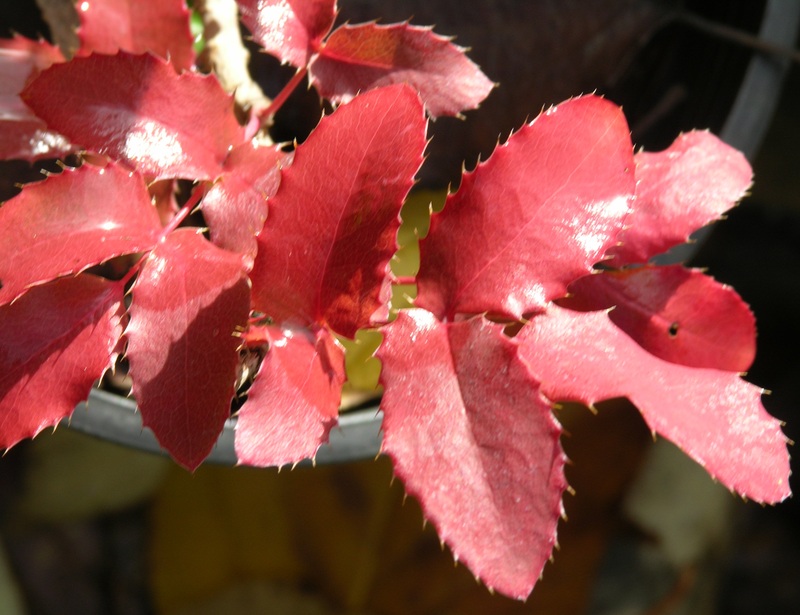 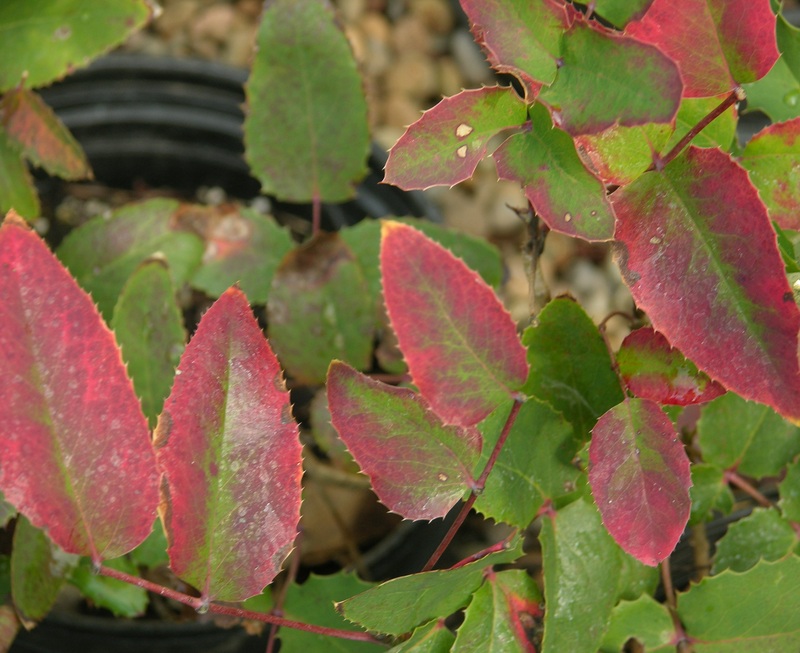 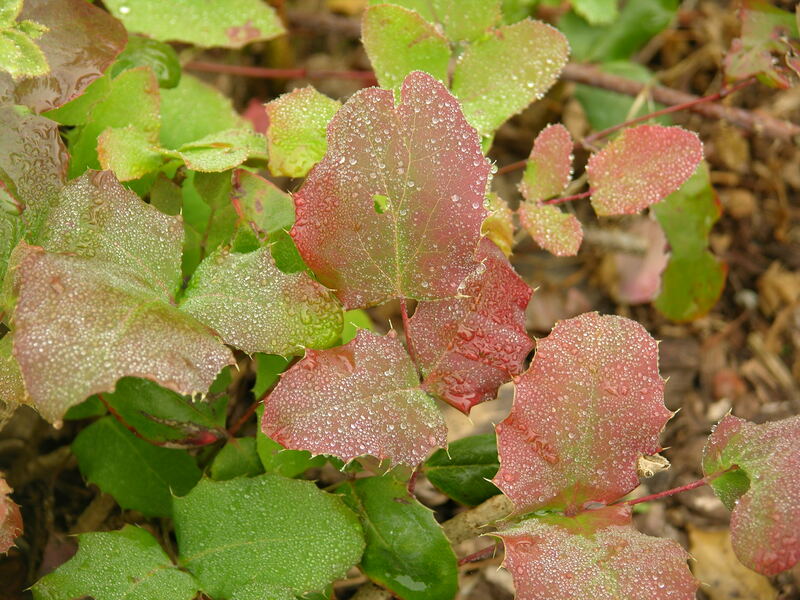 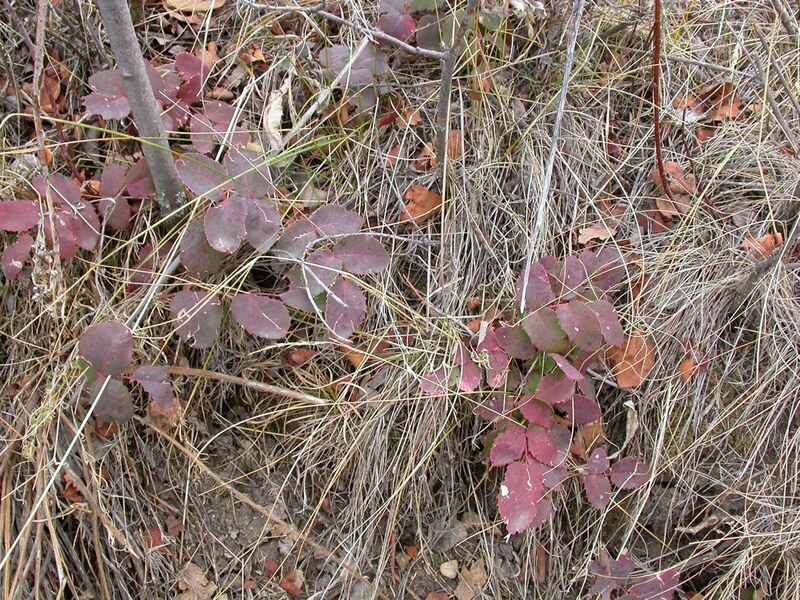 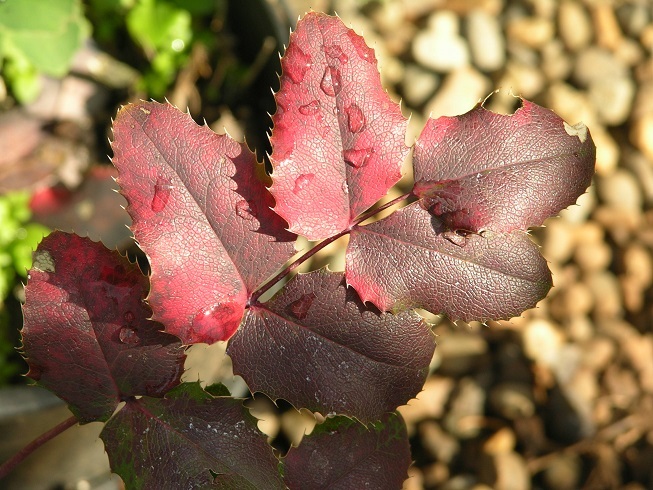 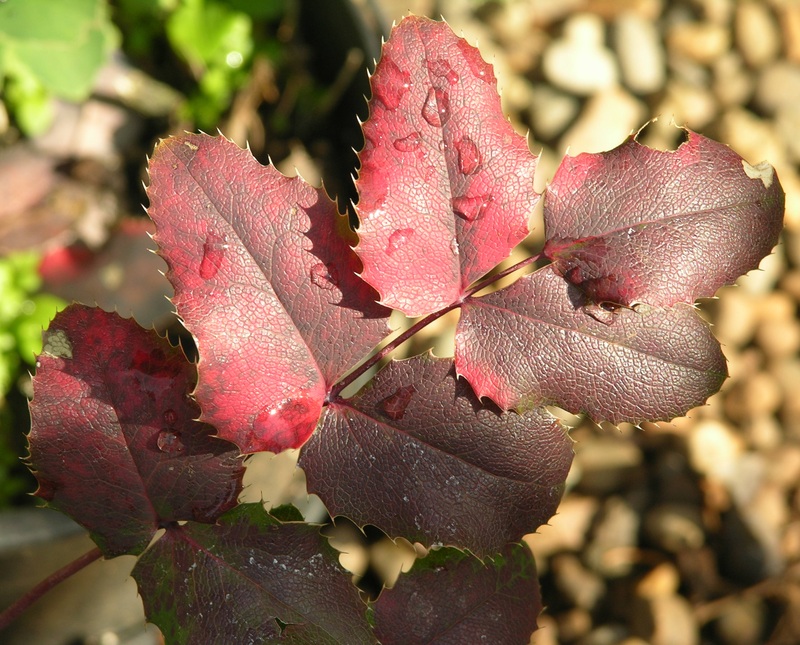 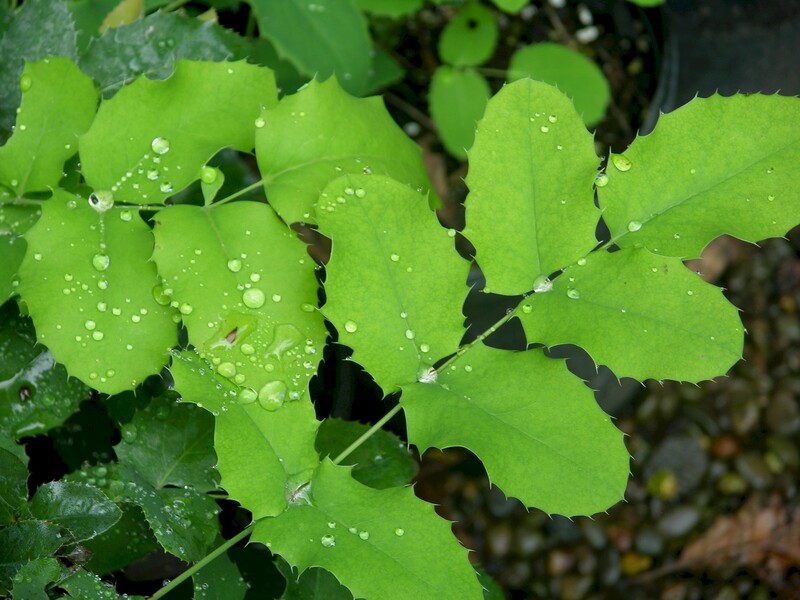 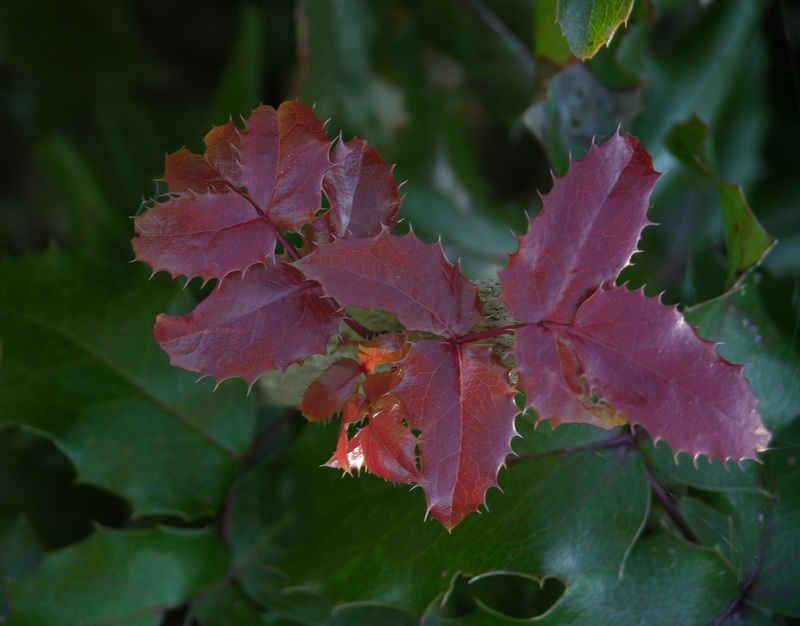 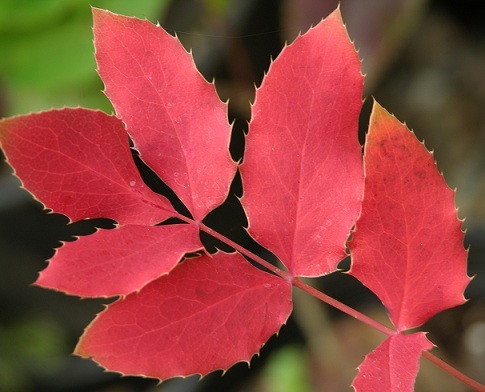 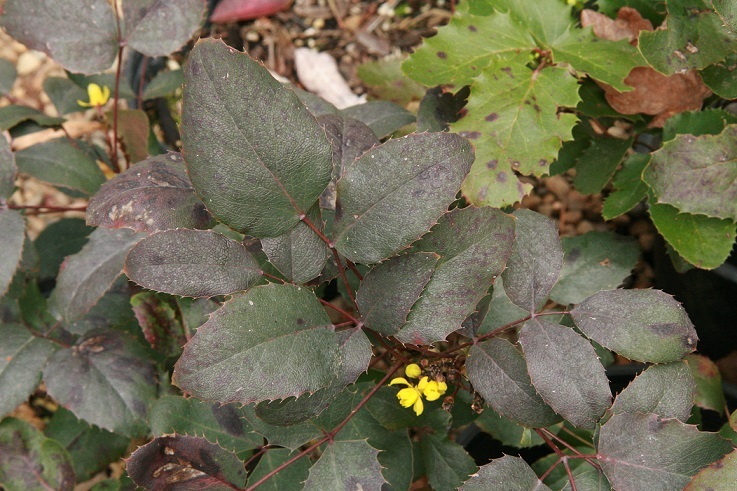 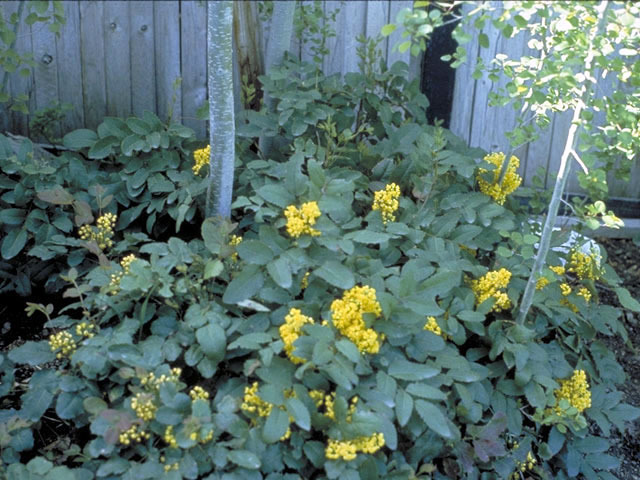 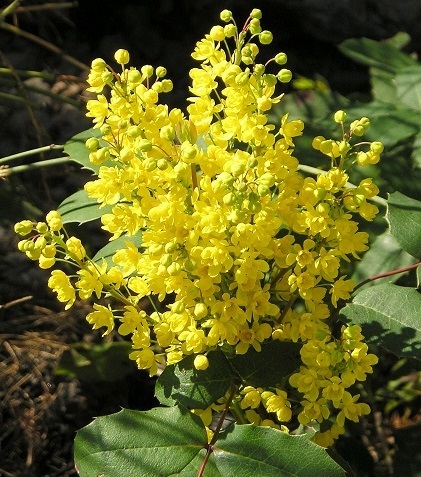 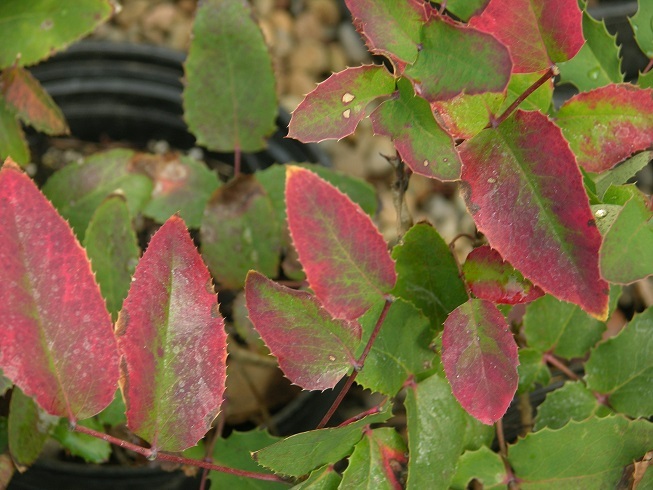 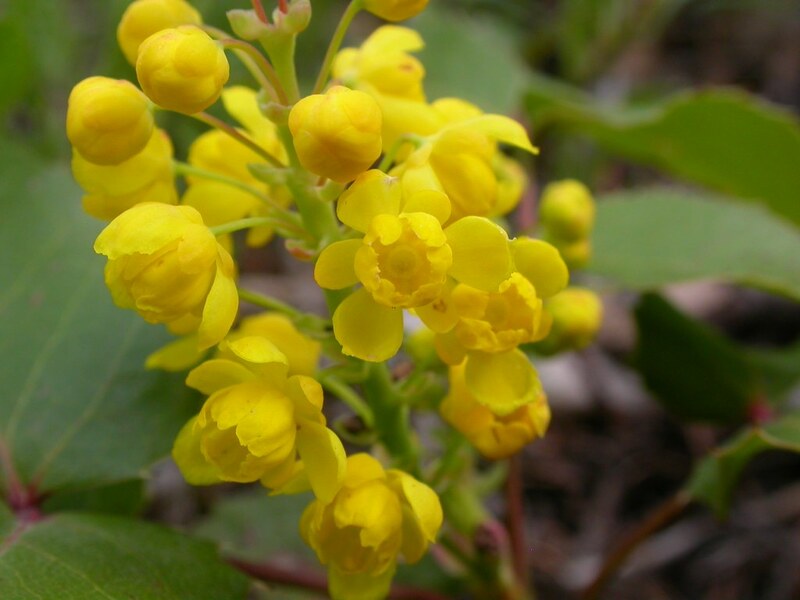 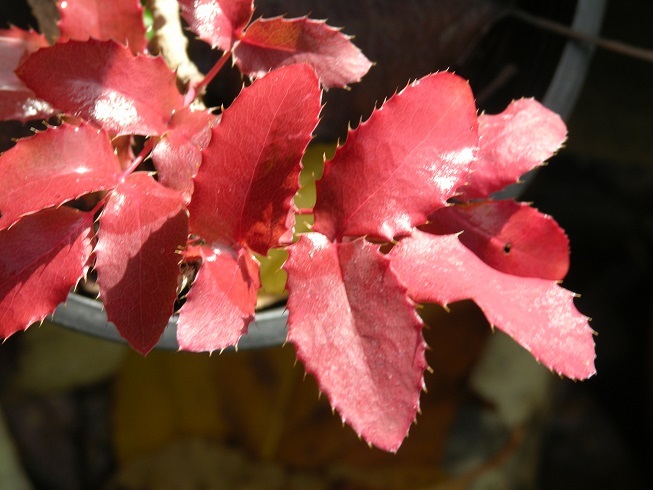 Growing a mere 12-18" tall and spreading by rhizomes, Creeping Oregon Grape tolerates sun or shade and is drought resistant after established. 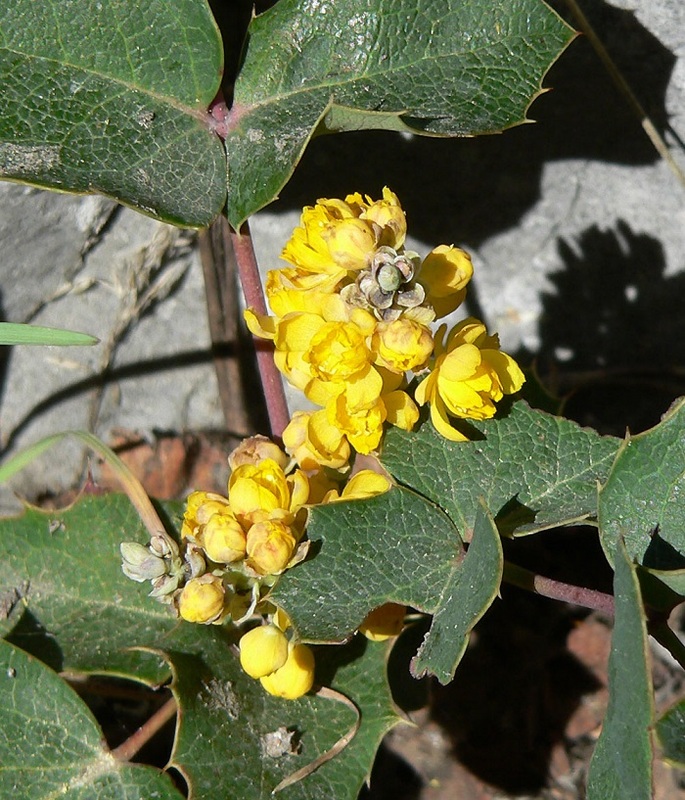 In the wild, this variety flourishes in areas that have been recently logged as well as forested areas along the Pacific coast and throughout the southwestern States, USDA zones 4-10. 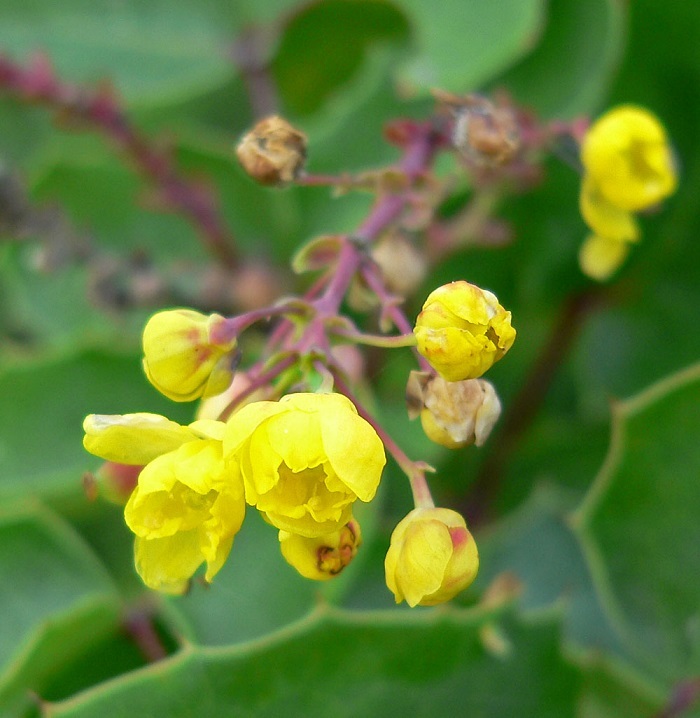 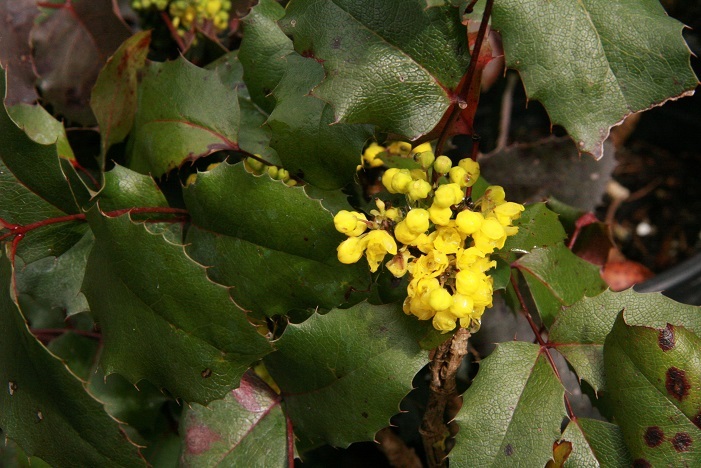 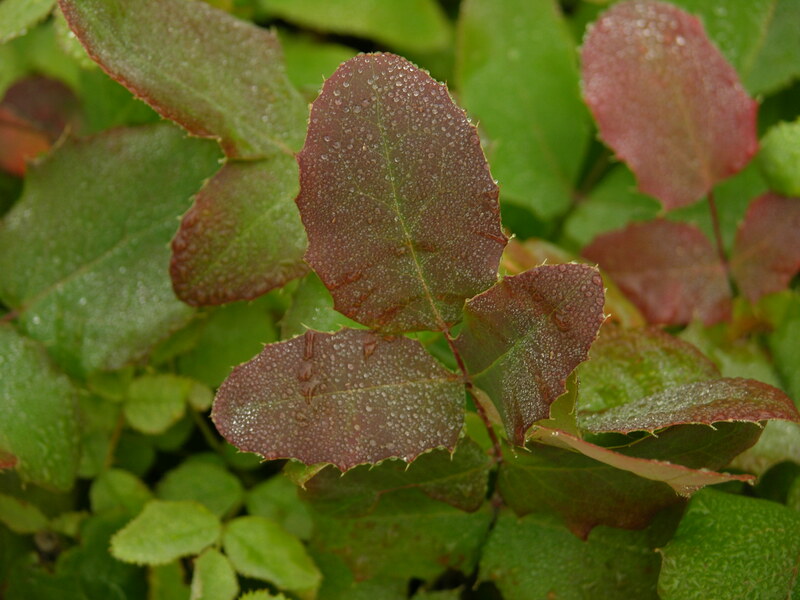 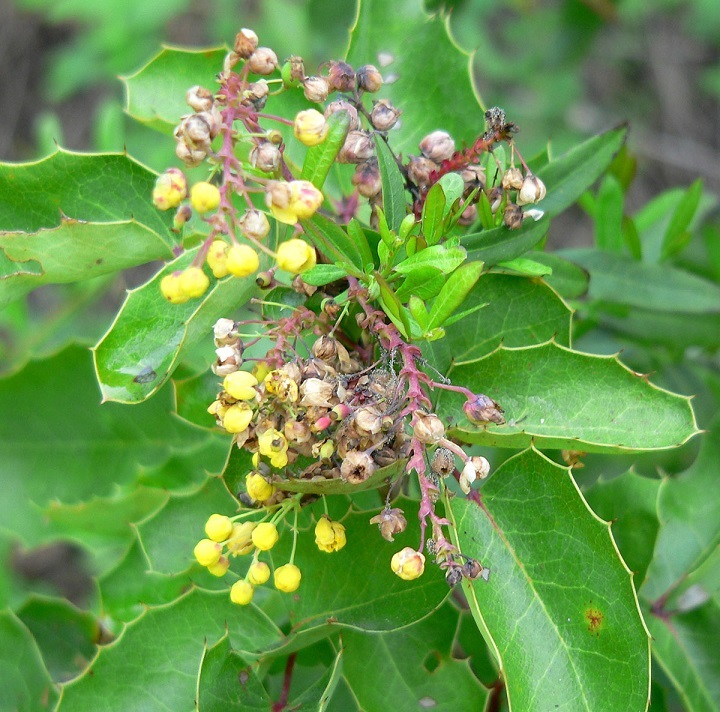 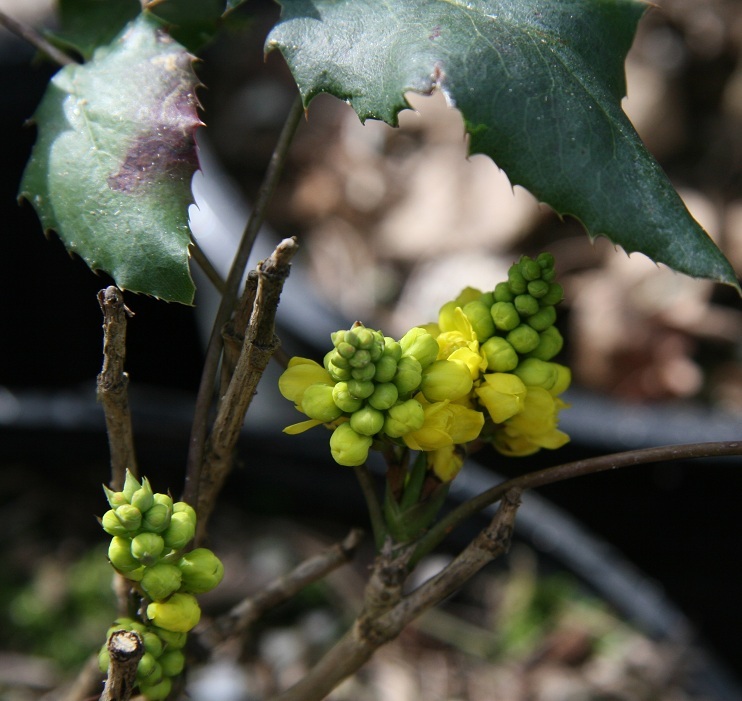 It has dull green holly-like leaves, fragrant yellow flowers and blue-purple edible fruits. 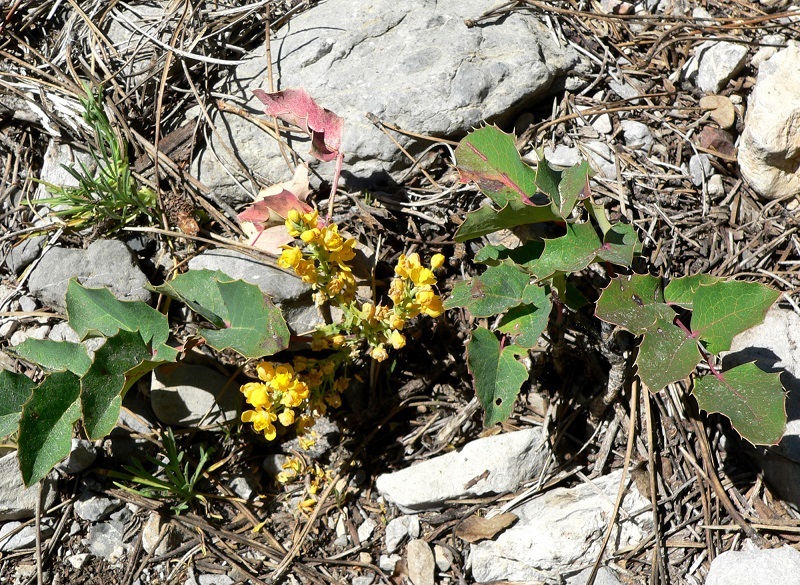 This species is considered endangered and is protected by the state of California. 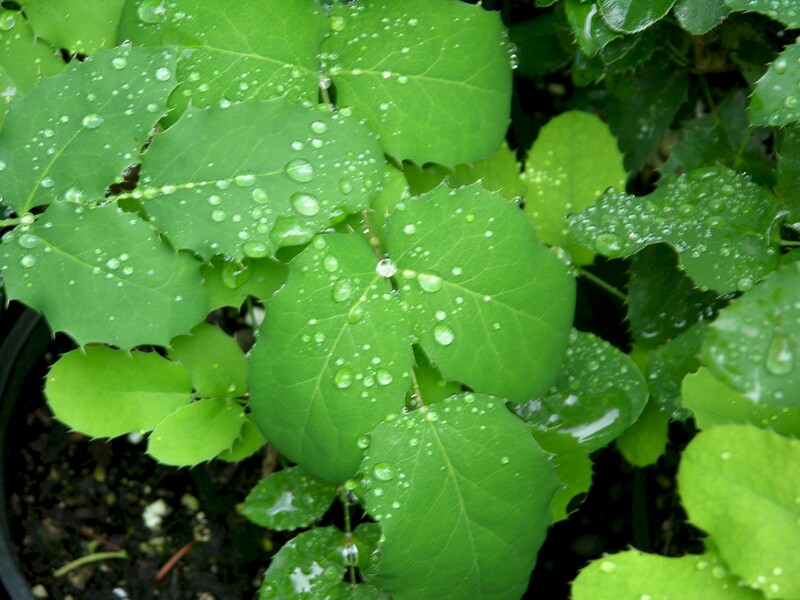 Observe photo at right: springtime green! 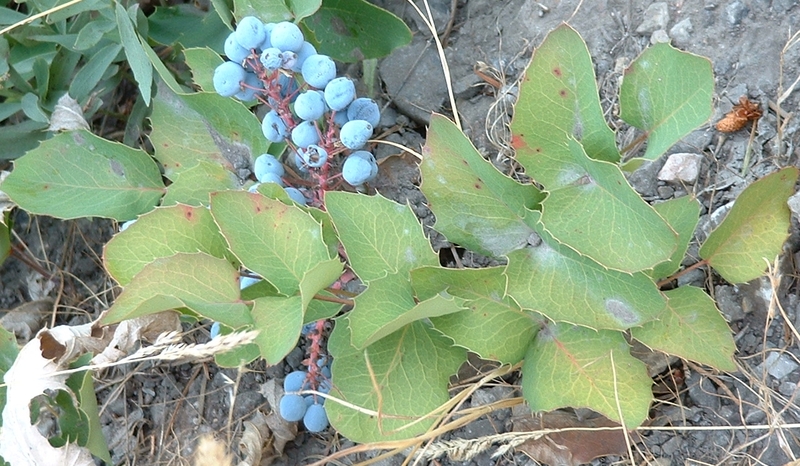 For a short comparison of native Oregon Grapes, click here.